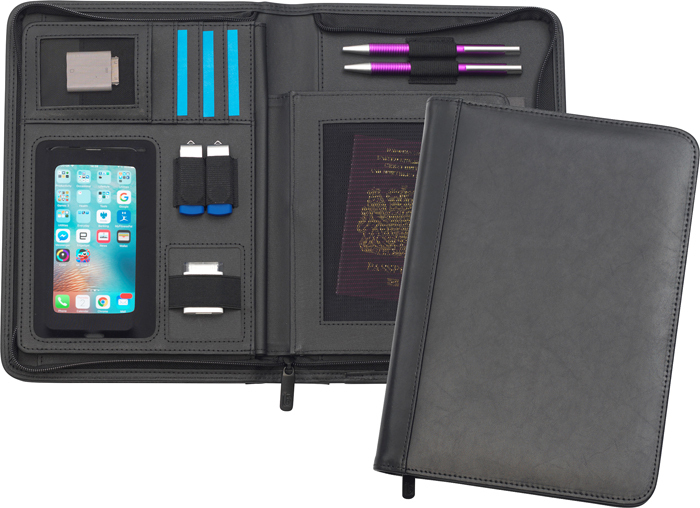 Description: Oversized A5 Bonded Leather Zipped Tablet folio designed to accommodate tablets up to 10.5 inch screens. . 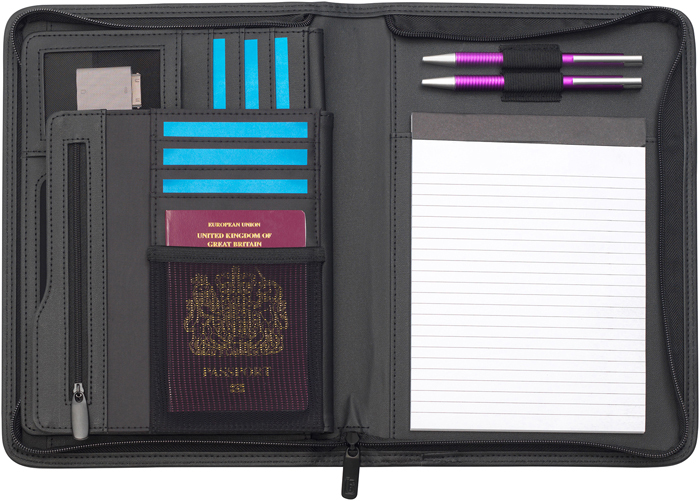 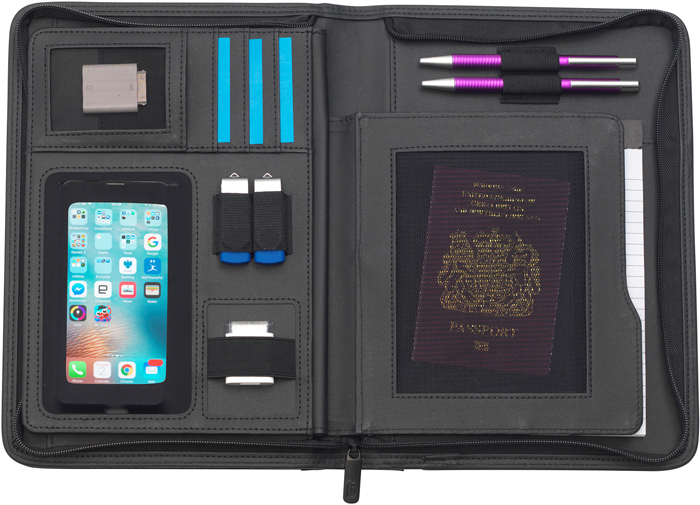 Contains numerous card pockets, cable tidy space, pen loops, USB holders, an elasticated phone sleeve, a zipped pocket and a mesh pocket. 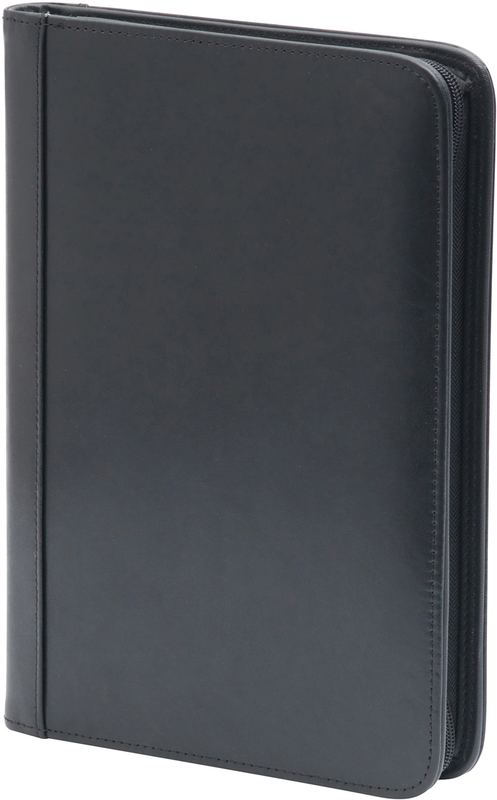 50 page A5 recycled lined notepad included.